I grew up in Ayrshire, which, farming wise is famous for dairy farming and potatoes. Fruit farms are few and far between over there, and pick your own farms were most definitely not a thing in Ayrshire. I guess digging your own potatoes is nowhere near as fun or tasty as picking soft fruit! So it came to be that the other week was my first ever visit to a pick your own farm. 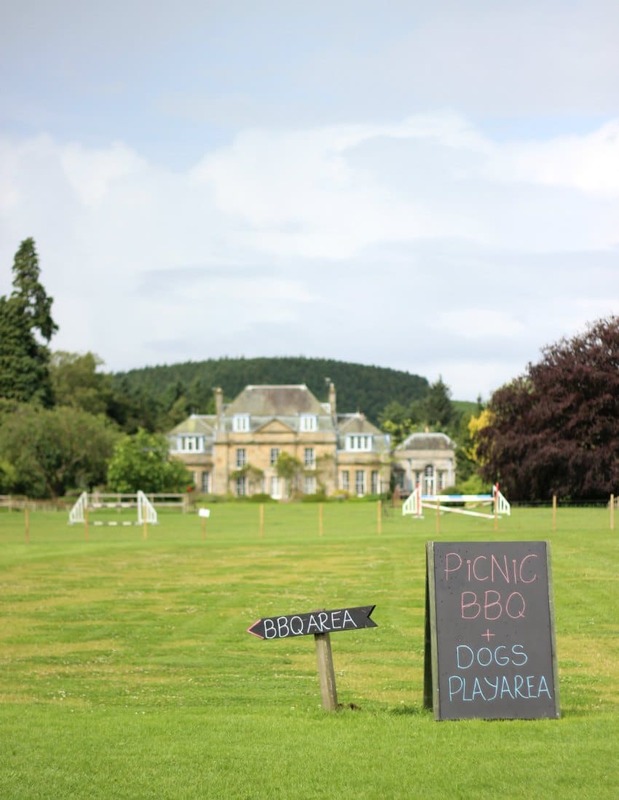 It just so happened that we picked a really great one to visit – Cairnie Fruit Farm, near Cupar in Fife. 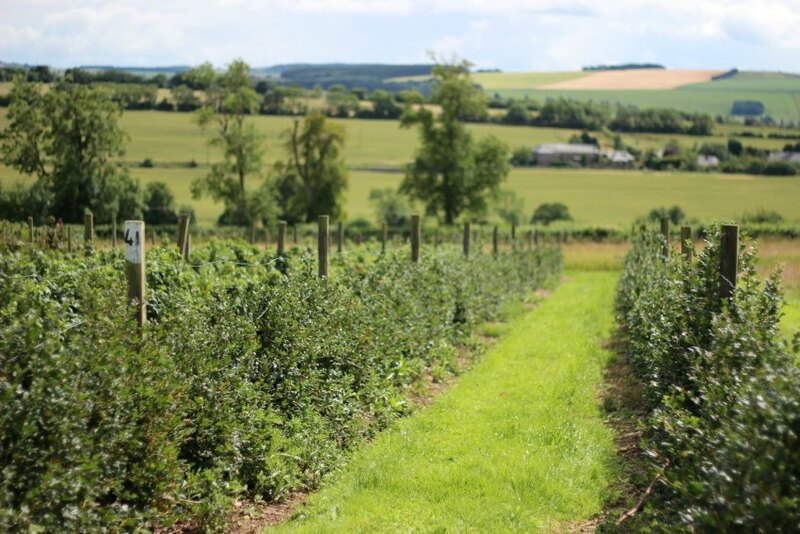 Depending on the season you can pick strawberries, raspberries, tayberries, gooseberries, black and red currants, and even pumpkins in over 45 acres of luscious farm land. As well as being able to pick your own fruit, there’s a big family play area with heaps of outdoor activities for kids. Think trampolines, flying foxes, chutes, sandpits, a go-kart track, straw bale climbing fortress and you’re only half way there. 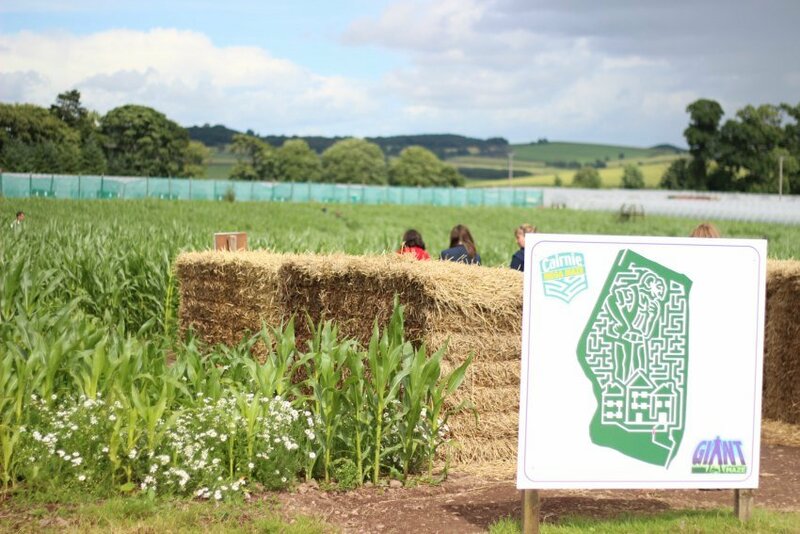 There are also tractor rides for kids and the pièce de résistance – the huge maize maze. The maze changes theme every year – this year it was BFG themed. The maze opens in mid-July, by which point it was around 5 feet high, so we were there just in time for it opening. The maize is then harvested in October (by which point it’s over 8 feet high) and fed to cattle, so it’s a pretty sustainable maze at that! After a lot of fun in the play area, we ambled over to the fruit farm. 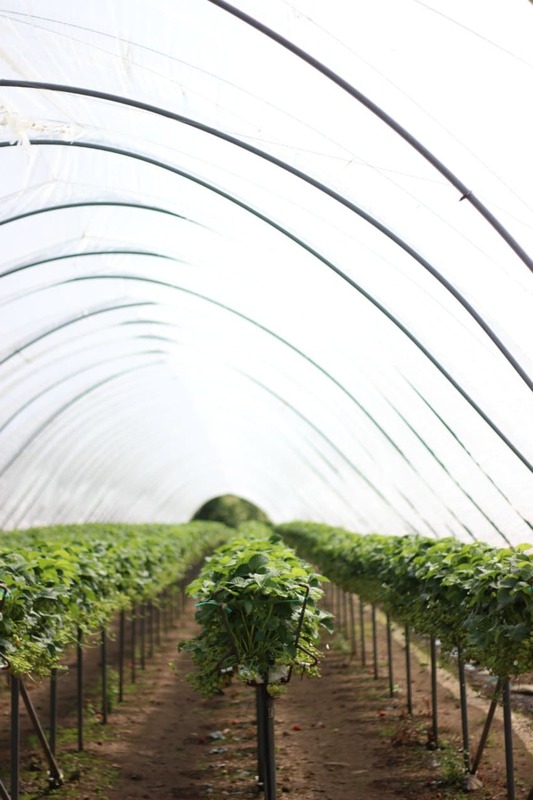 The strawberries were a bit thin on the ground as they were between crops, but there were row upon rows of ripe raspberries and gooseberries ready for the picking. As our allotment is sprouting raspberries faster than we can eat them at the moment I picked a huge punnet of soft delicious gooseberries for just a couple of pounds. There’s nothing quite like freshly picked fruit still warm from the sun. 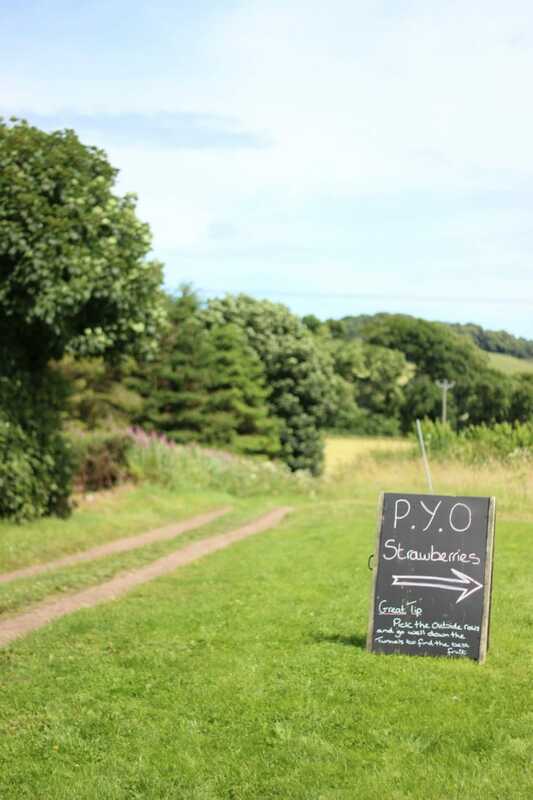 We had lunch in the Cairnie Fruit Farm cafe, but if you wanted to save a bit of money then there are plenty of spots overlooking the rolling Fife countryside to have a picnic or even a barbeque. Wondering what I made with my gooseberries? My eldest and I baked this gooseberry clafoutis. 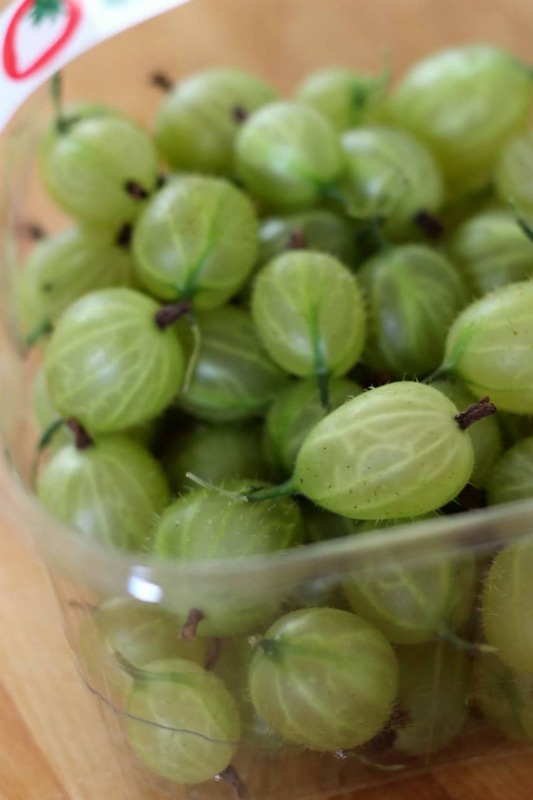 It’s so good and really easy to whip up – give it a go next time you have a punnet of gooseberries to hand! We’ll definitely be back at Cairnie Fruit Farm soon! Have you hit up any good spots this summer? We love pick your own fruit farms! But one time my friend ate so many raspberries that she threw up! And, no, she wasn’t a child- she was in her 30s! Wow!!! great photos. Hope you had a wonderful experience out there! Thanks for sharing.